Wherever stone shatters and hot steel steams, only robust, resilient and solid-dimension clutches are able to withstand the extreme loads. In the rolling mills of Arcelor Mittal Ostrava, the largest steel producer in the Czech Republic, clutches by mayr power transmission ensure highest operational safety and maximum productivity. With an annual production volume of approx. three million tons of steel and more than 7,500 employees, Arcelor Mittal Ostrava (AMO) is the largest steel producer in the Czech Republic and part of the largest steel and mining company in the world, Arcelor Mittal. The construction industry and engineering sectors are amongst the most significant customers for this steel, which is produced both in Ostrava and at several further production locations in the Czech Republic. In steel production – after the molten steel from the furnaces has been moulded into sheets, slabs, blocks or staves – these primary raw parts are then further processed in rolling mills and transformed into finished steel products. 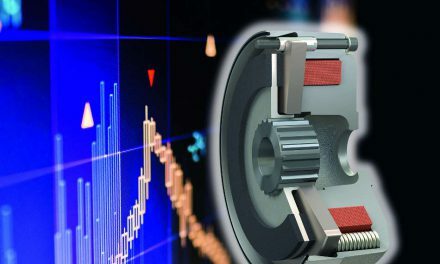 In order to protect the motors, transmissions and other drive components in the mill permanently against expensive overload damage, AMO relies on the reliable EAS-HT torque limiters by mayr power transmission. 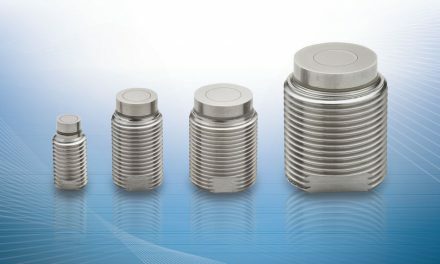 These disengaging clutches stand for the destruction-free limitation of dangerously high torques, and can easily withstand the rough ambient conditions in steel production. They help to save on materials, manpower and costs, and increase productivity in the rolling mills. The growing need and permanent demand for higher levels of productivity requires maximum performance from the rolling mills; and during this process, cases of overload cannot be completely avoided. Overload occurs in mills, for example, due to varying material consistencies in the steel, depending on the temperature and its associated problems in the rolling process: If the material is not hot enough and therefore not soft enough, it will impact the rollers, for example. Often, one single case of overload damage is much more expensive than a torque limiter. An investment in a clutch is therefore disproportionately small compared to the costs of transmission damage, or the material costs, or the production downtime suffered. Therefore, AMO employs the EAS-HT torque limiting clutches (Image 01) in the mills, which reliably protect the drive line against damage. These clutches are positioned between the motor and the transmission, and limit the torque accurately to a set value: The maximum torque is 170,000 Nm, and the maximum speed 400 rpm. 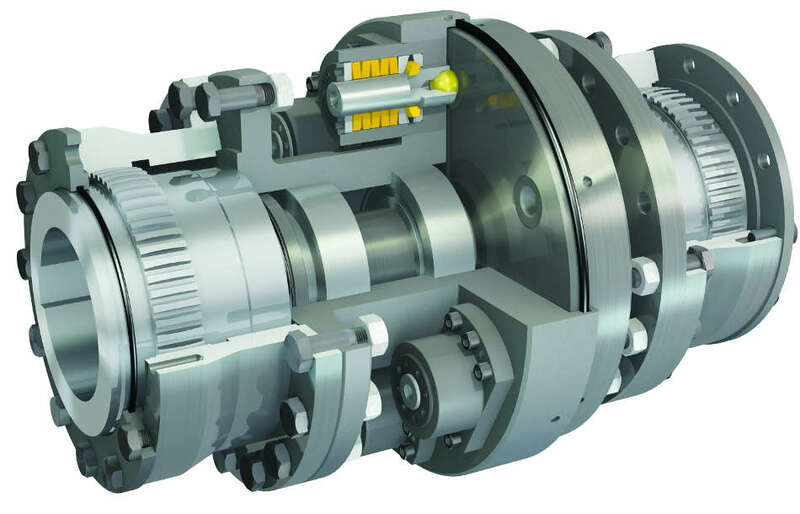 “The disengaging EAS-HT clutches are element clutches which represent the ideal solution for extremely high torques and speeds or large mass moments of inertia”, explains Thomas Gebler, Regional Sales Manager for mayr power transmission. “These clutches are based on individual overload elements which are integrated into the flanges. The achievable torque results from the pre-tension force of the elements multiplied by the number of elements and the radius at which the individual elements are arranged”. Thanks to a modular concept, not only can clutches be built which are tailored to the respective application, but also far higher torques can be controlled than with a central disengaging mechanism. Up until now, mayr power transmission has supplied torque limiters with a torque of 540,000 Nm. However, the limit of what is possible has not yet been reached: Thanks to the modular construction, torque limiters with torques of several million Newton meters are possible. On the EAS-HT element clutches, the individual overload elements transmit the torque through positive locking during functional operation. In case of overload, the input and output disconnect almost residual torque-free within a fraction of a second, with high switch-off and repetitive accuracies. Only the friction of the high-quality pressure flange bearing takes effect. The kinetic energy of the rotating mass stored in the system can slow down freely. The element clutches remain disengaged until they are simply and quickly re-engaged manually or using pneumatic, hydraulic, mechanical or electromechanical devices. Disengaging clutches can cope with long slow-down times for the drive following disengagement. Only the robust clutch bearing is to be considered when defining the permissible slow-down times. Nevertheless, after clutch disengagement, it is expedient to switch off and shut down the drive without delay. An overload signal can be provided by a speed monitoring system or a contactless limit switch, which permanently monitors the operating state of the clutch. As a result of the complete disconnection of the input and output, no engagement impacts occur during the overtravel time which could have a negative effect on the drive line. “In the meantime, EAS-HT torque limiters are now used in our mills as a replacement for shear pin couplings”, explains Karel Satke, Head of Mechanical maintenance at Arcelor Mittal Ostrava. “The element clutches are designed so that they can replace the shear pin coupling 1:1 in the short installation space available. No changes had to be made to our application”. The disengaging EAS-HT torque limiters operate with much greater precision than the shear pin couplings, and are immediately ready for operation again after rectification of the overload cause (Image 02). Shear pin couplings, on the other hand, have a pre-defined breaking point (shear pin) which breaks in case of overload and therefore prevents damage occurring to the other components. However, the destroyed components then have to be replaced. This generates costs and downtimes for the system. Furthermore, the trigger torque is afflicted with relatively high tolerances: The shear pin couplings lose transmittable torque over time, as the shear pins suffer fatigue and therefore frequently disconnect too quickly, which in turn leads to unnecessary downtimes. “The EAS-HT element clutches have already proved their worth for one year in our systems”, says Karel Satke. “Since then, there have been no more premature disengagements. The clutches disengage exactly when we require it, and as a result, we have been able to reduce our downtimes by more than 80 percent. Re-engagement is now much easier and quicker too”. 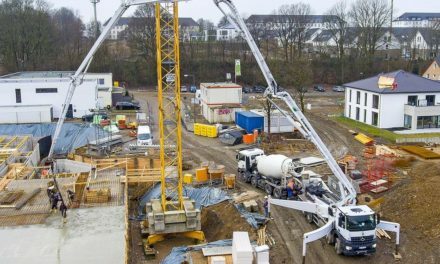 Prior to each clutch leaving the mayr power transmission works in Mauerstetten, it is extensively tested and set exactly to the required value. For this purpose, the company has diverse, modern testing equipment; it can also call on decades of experience in development and design. 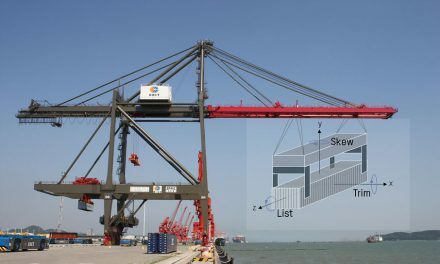 An electronic database in which the measurement values are stored together with the associated serial numbers of a product ensures 100-percent traceability. As a globally-active company, mayr power transmission also relies on close customer contact, and provides a reliable service around the globe through their competent contacts.